The Nigerian story is one that never ceases to fascinate. We are different in so many ways. Our lifestyle, our outlook to life, our resilience, our sorry socio-economic state, our lying and thieving politicians. You name it! We are a different breed of people. Even among our neighbours, we stick out like a sore thumb. If it were for good reasons for the most part, it would have been great. It would have been something to boast about. Unfortunately, most of the attributes and situations that mark us out as different aren’t exactly things to be proud of. The sudden and unfortunate death of young gospel singer, Eric Arubayi reminds us of this once again. Eric’s needless death in his prime is a stark reminder of what it means to be a Nigerian. It jolts us to the dark reality of the country we call home. People die everyday, everybody will die at some point. It’s inevitable. But when you hear that someone has lost their life, you want to know that they were terminally ill and nothing else could be done for them after exploring the best medical care available, or that they died in their in their sleep because it pleased God to take them away at that time, or that they lived to a good ripe old age before they kicked the bucket. Here, the story is often different. Eric Arubayi died because he allegedly took expired malaria drugs. How does one even begin to process that? Expired malaria drugs in this day and age. In a civilized society with rules and regulations, and a body that is supposedly responsible for preventing this kind of occurrence, a young man who still had his whole life ahead of him died a senseless, heartbreaking death because someone somewhere probably didn’t do their job. I have read a couple of tributes and eulogies to Eric; from celebrities and regular folks alike. Much like what obtains when anyone at all dies, there are accounts of what a gentleman he was, and how he loved God and humanity. 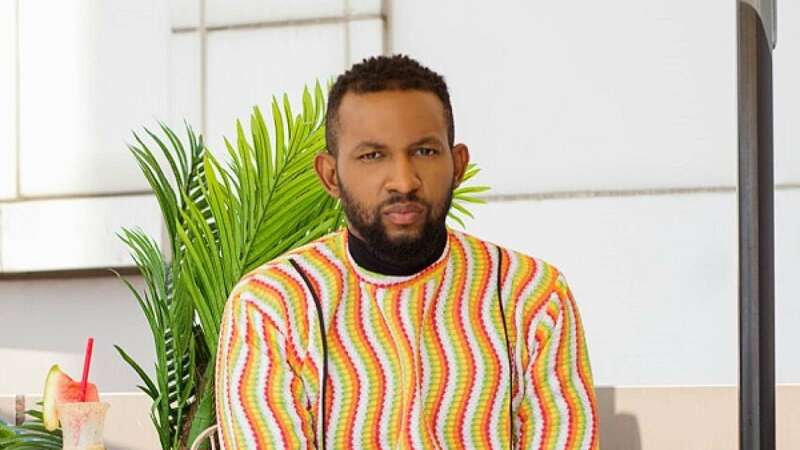 There’s sadness and regret following the untimely death of the father of one who shot into limelight during his participation in the first season of the West African Idol. It’s expected. However, what doesn’t really add up in all of this is that not many people are talking about the way he died, or asking probing questions about where he got the drugs he took. Was it a drug he had had at home for a while and had expired, but poor Eric forgot to check the expiry date? Or was it one he only just got at a pharmacy? If it was the latter, then someone should have been arrested by now! Someone should be made to pay for this grievous sin against humanity. The war against fake, substandard and expired drugs was a war that the late former Director General of NAFDAC, Dr. Dora Akunyili fought with all the strength and courage she could muster while she held that position. She fought doggedly even in the face of threats to her life and an assassination attempt. It is only in Nigeria that someone will die because they chose to worship in a church. And no, they didn’t die of a heart attack, some hidden ailment or even a natural disaster. They died because a structural engineer or building contractor got greedy and opted to deploy the use of mostly sand in their cement mix. And so the church building collapses and kills innocent souls, just like that! It is only in Nigeria that a military plane would “accidentally” drop a bomb on the already traumatized people in the IDP camps. It is only in Nigeria that the person at the helm of affairs in a government parastatal would siphon amounts that I cannot even begin to mention so as not to induce an instant headache in my poor head, and still have the effrontery to tell us he got all these monies as gifts from friends. Is this case which has tragically led to Eric’s death an isolated one or a sinister indication that we are gradually sliding back to the days when chalk was sold as paracetamol and teething mixtures for babies practically contained poison. No one should be prodding bodies like NAFDAC , SON and even the Pharmaceutical Society of Nigeria to launch a full scale investigation on this matter. As we mourn Eric’s death and pray God grants his family the fortitude to bear the irreparable loss, our bigger concern should be that no one else suffers the same fate. In many parts of the world, they can fathom the way and manner in which they would most likely bid the world goodbye; at least to a large extent. They know exactly the kind of death that cannot befall them. Expired drugs are not likely to be the cause of death of people in the West, except a person chose to take them on purpose. Maternal and infant mortality rates, for instance have been reduced to the barest minimum in many countries in Europe and America, but remain high in these climes. In Nigeria, you never really know how you’ll die. You could be on your way to work on a bright Monday morning and be hit by the stray bullets of a drunk Police officer, or beaten to your death by an Army officer because your coconut head did not tell you you had no right to put on camouflage shorts. You could be taking a stroll, and be mistaken for a thief in a sudden crowd frenzy, and lynched alive by an irate mob before you even get a chance to prove your innocence. What is wrong with Africa and why are we like this?? History has repeatedly proved overtime that we have a problem. where did this start from? until we get to the root of asking the right questions, we are not coming out of this mess.. The death of Eric is a very painful one. Another consequence of the black emptiness. But worse happen everyday and will still happen again if we fold our arms. We gotta start asking questions!! Somebody!! Anybody!! i don tire!! gosh.. Valid question to ask, what exactly is wrong with Africa? Thanks for contributing Tony.